Many of you will be aware of the sad demise of Blueglass Interactive. I don’t have inside information and I’m not about to speculate on what happened. It is now clear, however, that the upcoming BlueglassX conference in LA (scheduled for the 21st and 22nd May) is not happening. I imagine that some people may be able to get refunds for ticket purchases via their credit card companies, but I also imagine there are others who are going to be left out of pocket. I wanted to see if there was anything I could do to help out those people. We have a conference scheduled in Boston at almost the same time as BlueglassX was planned – ours is the 20th and 21st May (Searchlove Boston). 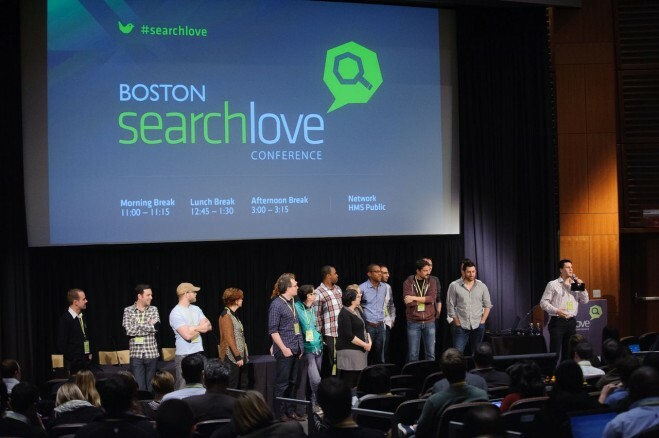 If you had bought a ticket to the cancelled BlueglassX, can be in Boston instead of LA and are going to be left out of pocket by the cancellation, I’d like to invite you to Searchlove Boston free of charge. Just forward me your Blueglass payment confirmation (will.critchlow@distilled.net) and I’ll send you information on how to register for our event. You can see all the details of our conference here. I realise that it’s on the “wrong” coast for those of you based out west. We are in the early stages of planning an event on the west coast later in the year – if you can’t make it to Boston, you should still drop me an email and I’ll see what I can do with a discount for that one later in the year. In short, because I can. I’ve seen lots of uncertainty and a significant number of people apparently out of pocket. Our conference has relatively fixed costs and space to take a few more people so there’s little downside. Obviously there’s a chance that by being nice to these people they may pay to come to other conferences we run in the future, but no-one’s under any obligation to do so. I charged back my ticket purchase – can I still take up this offer? Honestly, it’s going to be impossible for me to know but I’d rather you didn’t – if you’re not out of pocket, you can put that cash back towards buying a ticket to our event (drop me a line before you do and we’ll see if we can reward your honesty!). Do the Blueglass guys know you’re doing this? What’s the situation with Blueglass UK and EMEA? I’m not the right person to ask, but as far as I’m aware, Blueglass UK and Blueglass EMEA are separate companies that continue to run independently of the financial troubles in the US. Will Critchlow : Will founded Distilled with Duncan in 2005. Since then, he has consulted with some of the world’s largest organisations and most famous websites, spoken at most major industry events and regularly appeared in local and national press.